Summer is definitely one of the best times to be in Boston. From Red Sox games to cruises around the Boston Harbor, it’s a great time to enjoy the weather before winter kicks in again. But summer in Boston doesn’t necessarily mean you have to break the bank. Sure, there are plenty of activities to splurge on, but here’s a few ideas for those looking to experience all that the city has to offer without emptying their bank account. If you’re in Boston and don’t take a visit to the Samuel Adams Brewery, were you even really in Boston? Brewery tours run every 40 minutes and last around one hour. 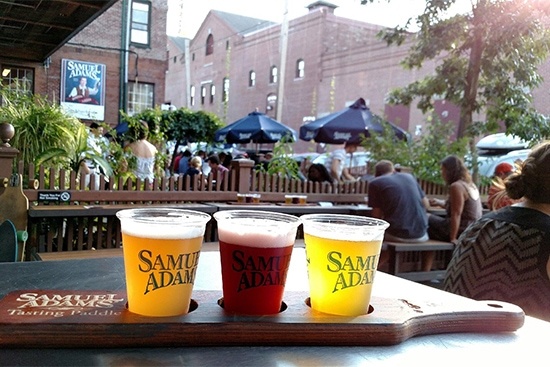 You’ll learn about the craft brewing process, taste some beer samples, and be able to experience the history of the Samuel Adams legacy in Boston. The tours are completely free with a suggested donation of $2.00. It’s recommended to arrive early on the day you would like to attend in order to avoid long waits; especially in the summer. 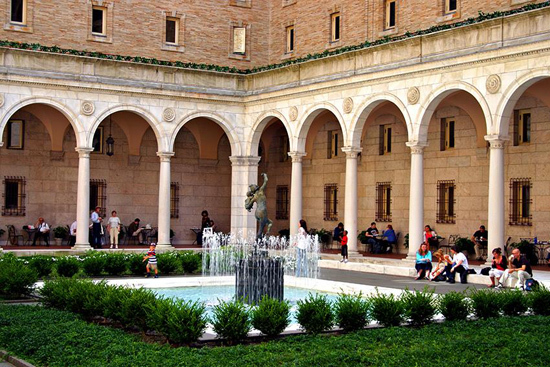 The Courtyard in the Boston Public Library, located right in Copley Square, is one of the city’s most serene spots. Throughout the summer, the courtyard will be filled with free live music every Friday from 12:30 p.m. – 1:30 p.m. and every Wednesday from 6:00 – 7:00 p.m. These concerts run through August and are a great way to unwind and discover local artists! The Greenway is a roof garden on top of a highway tunnel right in the heart of Boston near Rowe’s Wharf. It consists of a mile-and-a-half of spacious and inviting parks and connects people with the city; it’s also completely free! 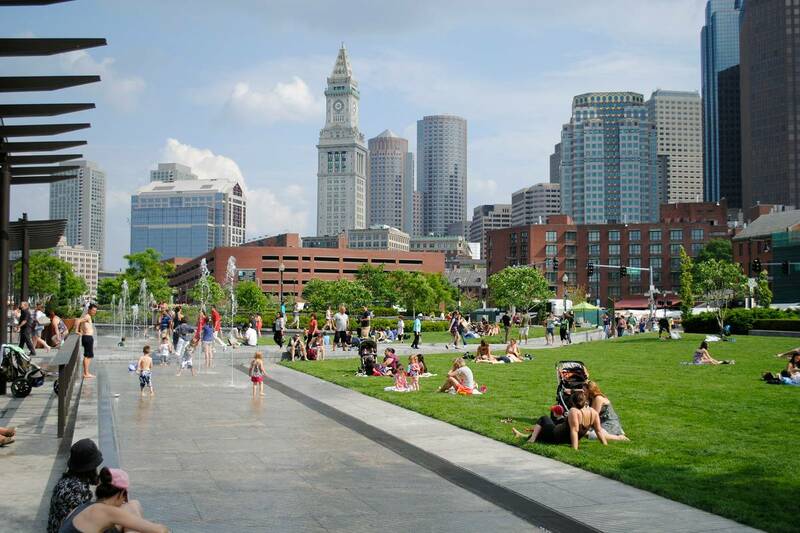 With an array of delicious food trucks, the Rose Fitzgerald Kennedy Greenway makes for the perfect cheap summer activity!